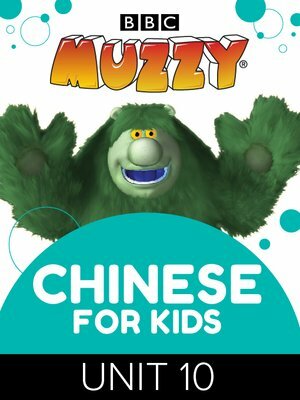 Developed by the BBC, MUZZY teaches Chinese to children as young as two. Employing a natural immersion approach that mimics the way the child learned their first language, MUZZY teaches 1200+ words and concepts through a captivating animated video story across 12 units. Children acquire a functional vocabulary that contributes to true bilingualism as they watch the episodes about the loveable extraterrestrial Muzzy and his friends. In Unit 10, children will learn to describe how things fit, adjectives, comparatives, distance, speed, temperature, weather, illness, remedy, numbers 31 to 100, commands, orders, too, enough, telephone call, imperative verb, reading and interpreting signs, going places.